Boy….am I excited. 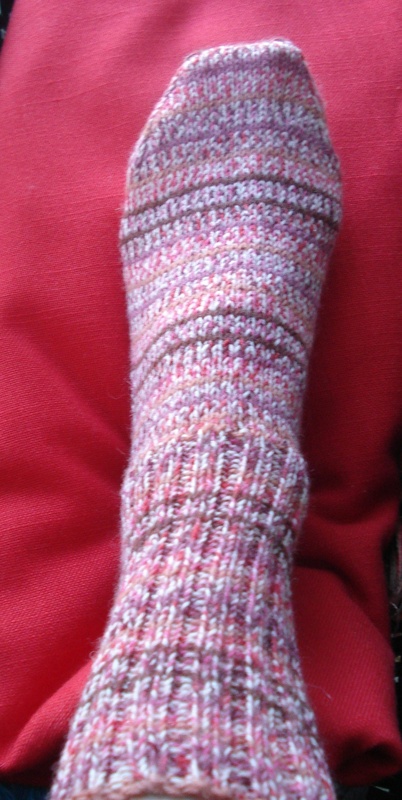 I am now knitting on my own projects. All the baby gifts are done and while there are gift items pending, I am focused on my own knitting for now. I pulled out a gray(color #155) top-downsweater jacket, from TOP DOWN Sweaters by Doreen L. Marquart and knit in Queensland’s Collection Kathmandu. I working on the sleeves and I will be wearing this sweater jacket soon. A design note here: it felt like the sleeves were oversized and with some group knitting counsel I am now adding shaping on the top of the sleeve…another design feature! 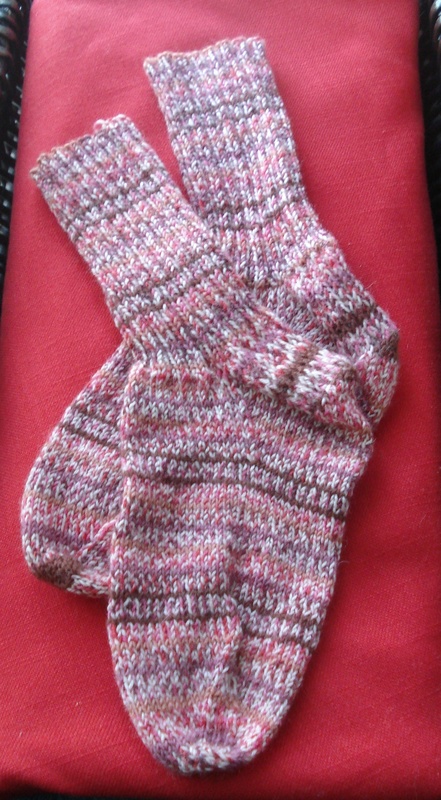 On Sunday my knitting (completed) wardrobe grew to include a pair of self-striping socks and a stole knit with MaggiKnits Linen…the pattern was inspired by Fiber Trends Bathing Beauties designed by Evelyn Clark. 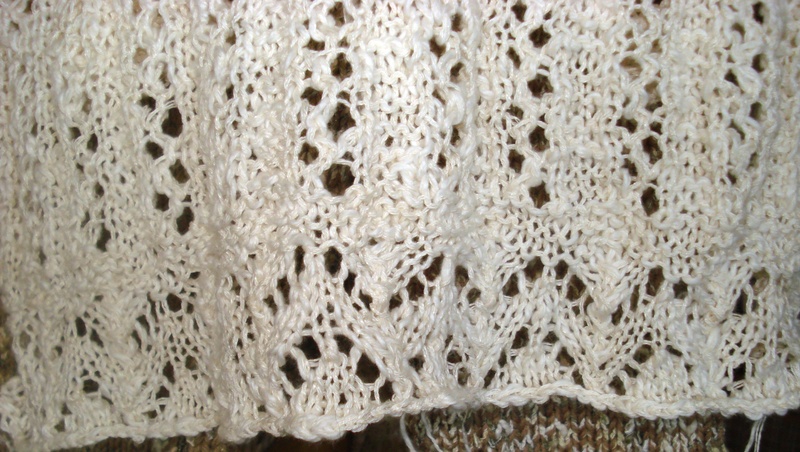 A while back I was inspired by this pattern as Kimberly was knitting one of the face clothes…..and I thought that pattern would be lovely in a stole. And it is! I remember having the wild idea that it would be fun to show Maggi Knits Linen in a different pattern at Stitches West last year…like Maggi really needs help! But the goal was to show a more conservative style for her yarn. I can hardly wait to see what this stole feels like after it is washed. I will save the baby gift for my nephew Carson until he has arrived at his home with his sisters. It goes in the mail tomorrow.